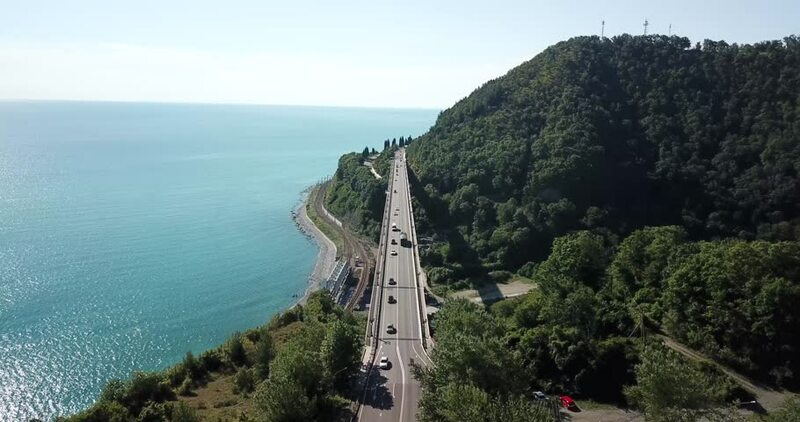 4k00:264K aerial stock footage of car driving along the winding mountain pass road through the forest in Sochi, Russia. People traveling, road trip on curvy road through beautiful countryside scenery. hd00:32Aerial travelling towards small Coastal Town. Paralax Effect. 4k00:10Calafuria coastal line and road in Tuscany, aerial view.